Leave your best guess in a comment below. Then, click the picture for the answer! Hhhhmmm, my first thought was crazy lace agate, so I guess I’ll go with that! Second thought Amethyst. Oops, I forgot to post the answer! 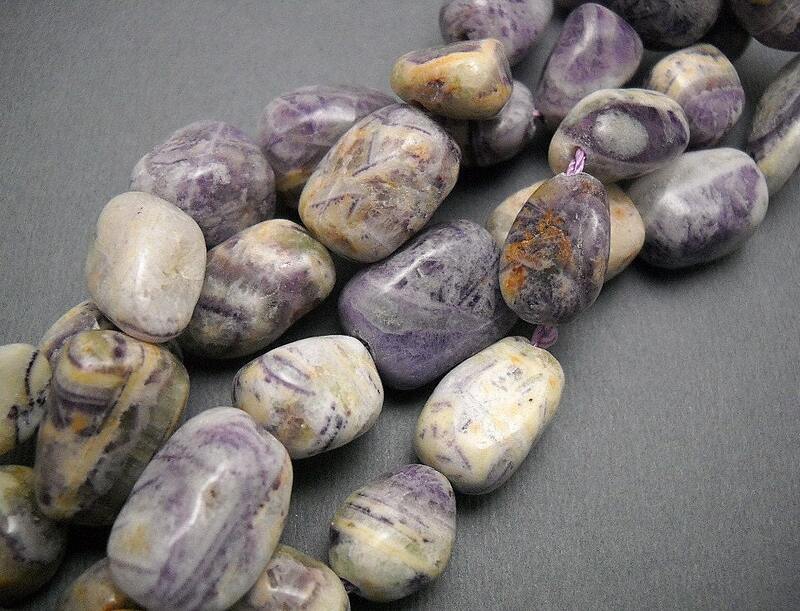 This beautiful purple stone is commonly called quartzite, but is known by many other descriptive names as well. These include: flower sugilite, lapidalite, Chinese charoite, and purple bamboo agate!